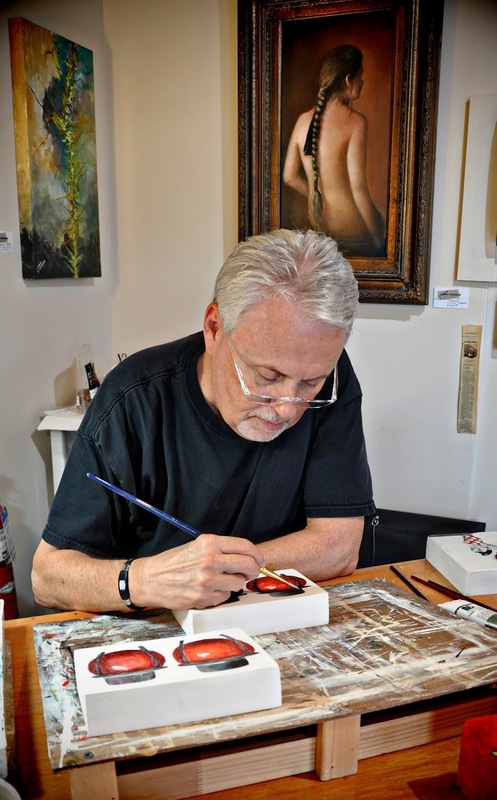 Being a part of the local music and art scene has allowed me to cross paths several times with artist, John Cannon. Formally in the Factory at Franklin, John has a studio/gallery at the historic Five Points in East Nashville at The Idea Hatchery. His walls are full of an eclectic mix of art that is full of color and life. Something that I have really enjoyed, while getting to know John, is his sense of humor that he infuses into his art. 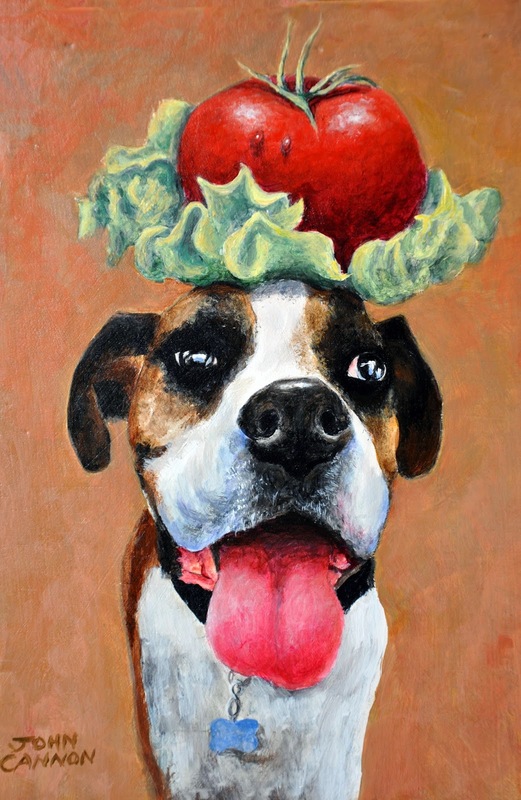 One of my favorite pieces is his “BLT-Beagle Lettuce and Tomato”. Like much of his work, it is inspired by his love for dogs and, like many East Nashvillians, his enthusiasm for tomato art. I experienced the Tomato Art Fest for the first time this year, and I am now a tomato art enthusiast, myself. In addition to the “BLT”, John has many funny and creative tomato paintings. As for the aforementioned love for dogs, John does a lot of paintings of dogs, especially commission work. 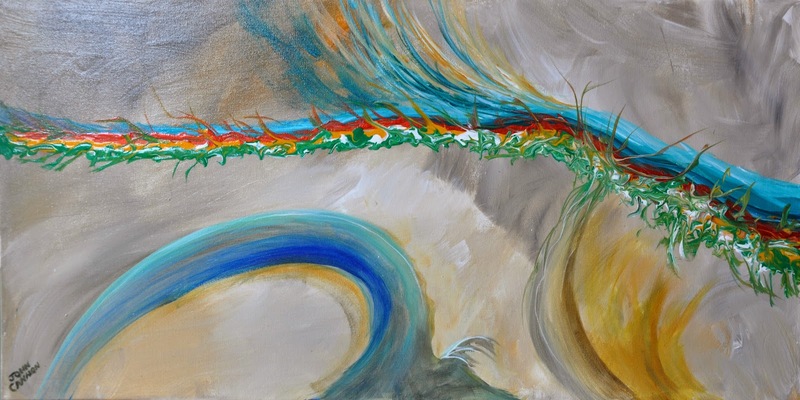 Part of the proceeds of all dog art goes to Frankie’s Friends, a non-profit foundation dedicated to finding cures and saving pets with cancer and other serious pet diseases. 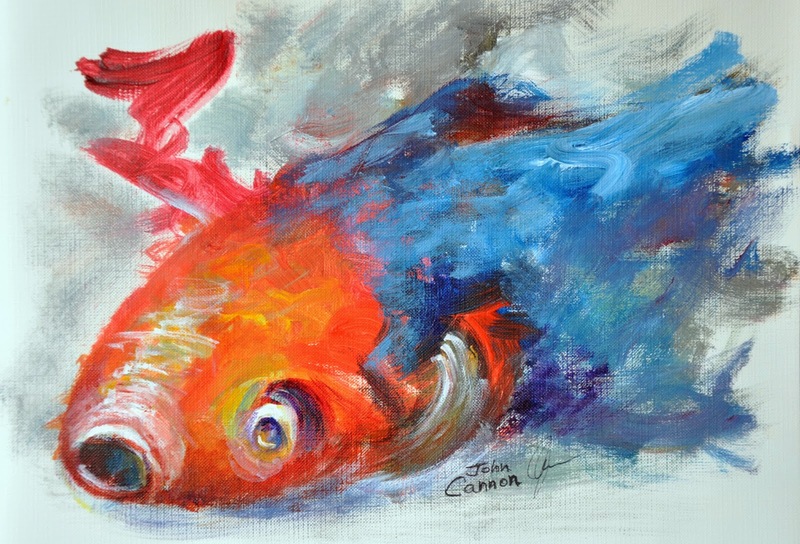 To find out more about John Cannon, go to www.johncannonart.com. Also, check out www.frankiesfriends.com and www.tomatoartfest.com.